Economical Storage and Transport of Slides. 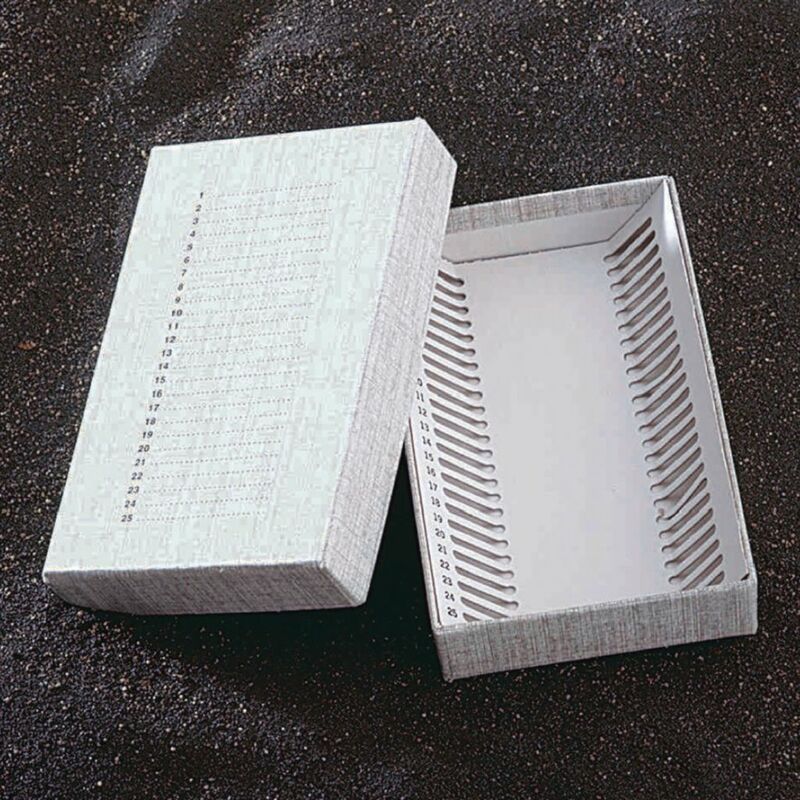 Store up to twenty-five 27 x 46 mm petrographic slides or standard 1" x 3" microscope slides in this box. Includes a numbered index insert.